My research focuses on Earth's carbon cycle and climate. I am particularly interested in major environmental change in Earth's past, including rapid CO2 and climate change during the ice ages, the long-term chemical evolution of Earth's ocean and atmosphere, and the enivornmental perturbations that led to mass extinction. To address these questions I use novel geochemical measurements on fossils, sediments, water, and ice, with a focus on the boron isotope proxy for pH and CO2. 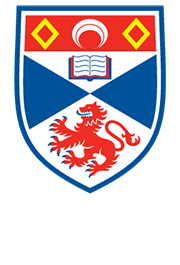 I am a PI of the St Andrews isotope Geochemistry labs (STAiG), a state-of-the-art clean room and mass spectrometry facility. I also use a variety of numerical tools to explore mechanisms of environmental change, including the cGENIE Earth System model. I'm also fascinated by biomineralisation processes in corals and foraminifera, and the insights that geochemistry offers into calcification and ocean acidification. I give regular public shows, lectures, and teacher development workshops on climate change. I am currently developing a series of teaching resources with Geobus and serve on the board of the Royal Meteorological Society's MetLink outreach programme. If you are interested in joining my group as a PhD student please take a look at the projects below and get in touch!